Seed by Rob Ziegler is his debut coming from Night Shade as a hardcover this November. From what little I've read it seems like a more militaristic The Windup Girl, which could bode quite well given it is NSB's biggest release to date. The cover is beautifully conceived and executed. My only complaint is the author's name is all but lost in the title. But wow, that art is arresting and I could see picking it up blind at the bookshop. The tree top is especially well done. 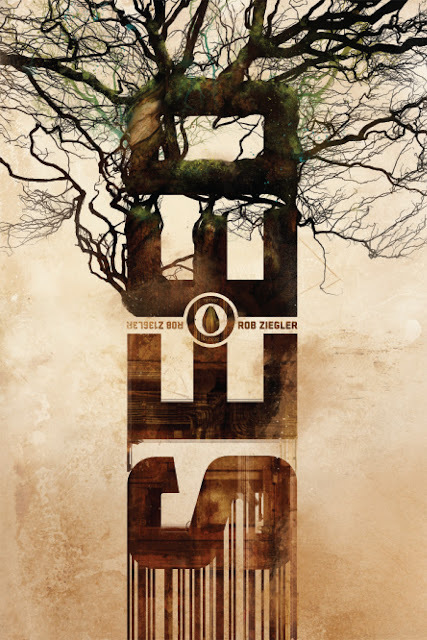 Ziegler doesn't currently have an online presence that I can find not can I find any other short story credits, but Seed is definitely a must-read for me this November. UPDATE: Ziegler now has a website at http://zieglerstories.com. Incredible cover art! How about an interview with the author? I'm hoping to do one.